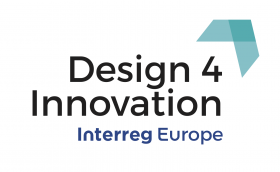 On November 28, the 2nd thematic workshop of the Design4Innovation project was implemented, at the premises of the Hellenic Design Center in Thessaloniki. Ιnitially, the participants were informed about the Design4Innovation project, the goals and actions it implements, and the purpose of the exercises followed in conjunction with the thematic axis of the Workshop "Exploring Operational Programmes and opportunities for design”. The study ‘Macro-regional strategies and their links with cohesion policy’, contracted by Directorate-General for Regional and Urban Policy and conducted by a consortium led by COWI company, aims first at describing the main features of each macro-region (Baltic, Danube, Adriatic and Ionian, and Alpine) through a range of macroeconomic, competitiveness, integration and governance indicators. Today the Commission is announcing which interregional partnerships will receive tailored support under a new EU-funded pilot action for innovative projects. The aim of this pilot action is to help these partnerships scale up their projects in priority sectors such as big data, bioeconomy, resource efficiency, advanced manufacturing or cybersecurity. European Union firms have significantly increased their investments in research and development (R&D), rising above the world's average growth rate. While the world's top 2500 companies in terms of investment into R&D increased this investment by 5.8% over 2016, companies with headquarters in the EU did so by 7%, with growth driven mainly by the ICT, health and automotive sectors. Having explored our design-innovation landscapes and the opportunities to influence Operational Programmes, Design4Innovation partners have come to Galicia to share best practice in financial support mechanisms for SMEs. The meeting took place on 7-8th November in Santiago de Compostela and was hosted by the Galician Agency of Innovation (GAIN). “All people deserve to live in a well-designed world”, reads the Montreal Design Declaration signed at the World Design Summit in October 2017. The declaration is a joint position statement of 14 international design and non-design organisations aiming to harness the transformative capacities of design for the global advancement of economy and social wellbeing. The signatories include organisations such as UNESCO, ico-D and Cumulus, and also BEDA and SDN, of which some Design4Innovation project partners are members. KEPA held a series of meetings in Athens on 16 October 2017, as part of the implementation of the Design4Innovation project, in which KEPA participates partnering with seven other European agencies. The purpose of these meetings was to inform stakeholders on the developments regarding the implementation of the project as well as the "Investigation of the Operational Programs and the Opportunities for Design". The European Commission has launched a new online presentation of implementation data of Horizon 2020, the EU's research and innovation programme. The Horizon 2020 Dashboard is user-friendly but at the same time offers powerful new analytical functions that will inform programme reporting, impact analysis, feedback to policy-making as well as decisions on future priorities. The report presents examples of projects and organisations supported by the Programme for Employment and Social Innovation (EaSI) in 2014-2017. The European Commission co-finances actions of public, private and civil society actors enabling them to deliver new services, assess existing policies or develop new ones, and exchange good practices in the fields of employment, social protection, working conditions, geographical labour mobility, microfinance and social entrepreneurship. Hellenic Design Center (HDC) in collaboration with Design for Enterprises project, co-organize a two-day thematic workshop "Design for Enterprises - Full Course", under the auspices of the European Commission. Hellenic Design Centre is an initiative (powered by Business and Cultural Development Centre - KEPA) that aims to enhance innovation, creativity and sustainability, in both private and public sector. The European Commission today announced how it will spend €30 billion of the EU research and innovation funding programme Horizon 2020 during 2018-2020, including €2.7 billion to kick-start a European Innovation Council. Horizon 2020, the EU's €77 billion research and innovation funding programme, supports scientific excellence in Europe and has contributed to high-profile scientific breakthroughs such as the discovery of exoplanets and gravitational waves.